At the transition between the19th and the 20th century, the brothels were the second house of the powerful men and the aesthetes. 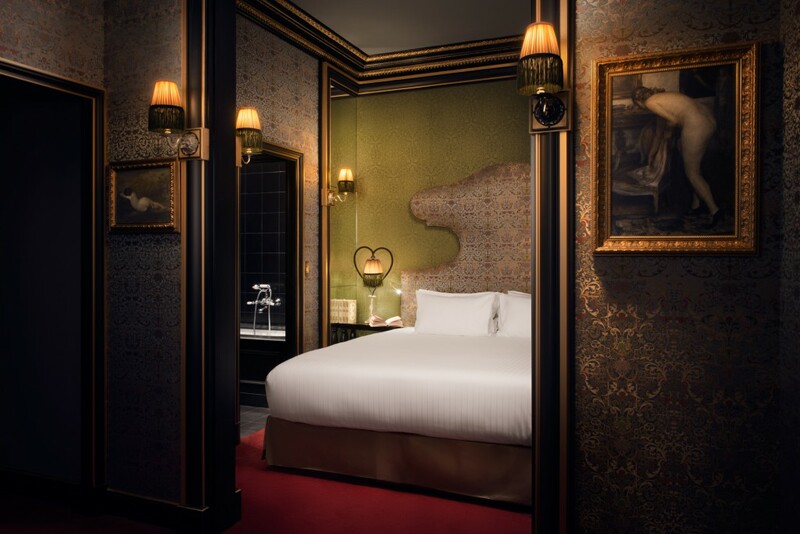 La Maison Souquet reproduces the sumptuous setting of one of them, close to Place Pigalle and its famous Moulin Rouge. Ideally located in the bohemian neighborhood, it draws a link between the 18th and 9th district, halfway between the “village” of Montmartre and the new scenes of the Parisian night. The hotel has been decorated by the famous interior designer Jacques Garcia. 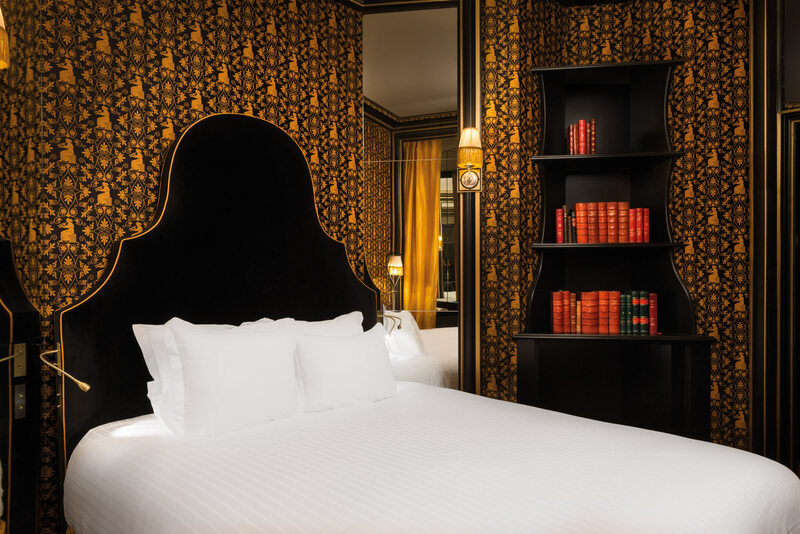 His freedom allows him to imagine an hotel based on the theme of brothels while orchestrating the design of the Louvre rooms devoted to French furniture of the 18th century, or the rehabilitation of the royal apartments of the Palace of Versailles. At Maison Souquet, he celebrates with natural the marriage of Moorish style and the Napoleon III’s velvet and composes an eclectic collection of furniture, art objects and paintings, which the authenticity infuse the spirit of the venue: magical and enchanting. 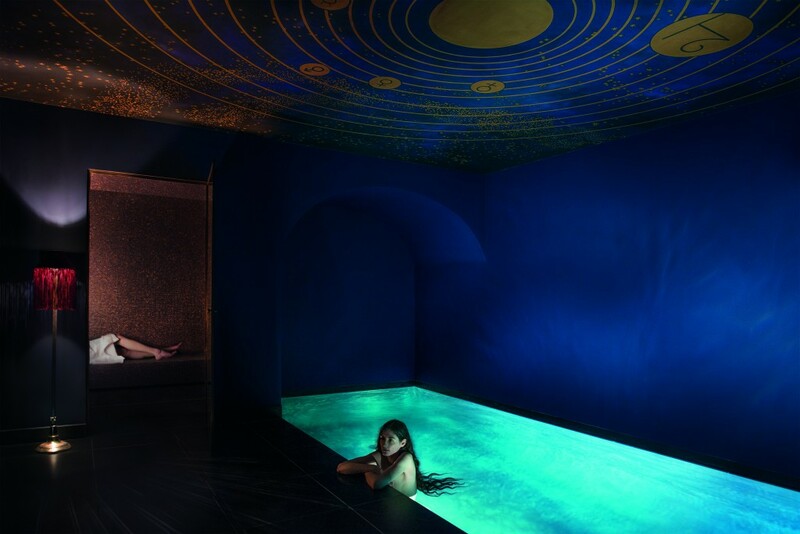 The fourteen rooms, six junior suites and two apartments of la Maison Souquet pay tribute to the singular beauty of the courtesans which they bear the name. 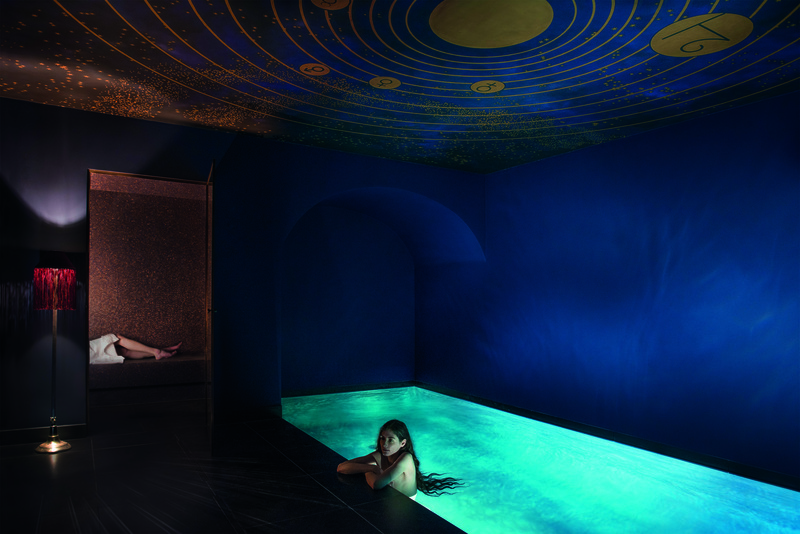 La Maison Souquet offers as well a lovely spa department, a winter garden and a cozy bar. This entry was posted in ParisDesign and tagged 18th District, 9th district, design, Hotel, Jacques Garcia, Maison Souquet, Montmartre, Paris, Pigalle. Bookmark the permalink.